OTTAWA -- Ontario and Saskatchewan want the federal government to fully analyze new tax measures before imposing them on Canadians next year. Many of the issues on the table will be the same -- carbon taxing, the struggles of the oil and gas industry -- as well as others more specific to their files such as Canadian competitiveness and the state of the global economy. Ontario Finance Minister Vic Fedeli and Saskatchewan Finance Minister Donna Harpauer want the talks to include a discussion about the economic impacts of Ottawa's plan to impose both a national carbon price and an expanded Canada Pension Plan in January. 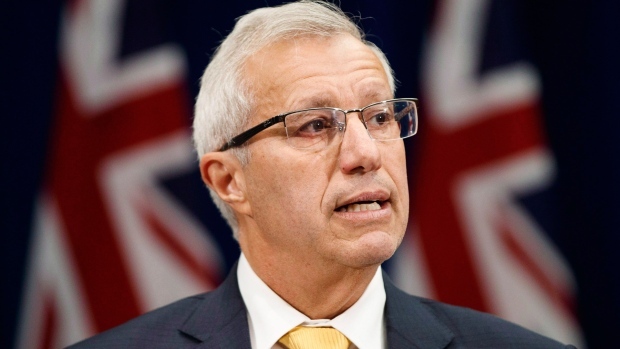 Fedeli is also asking Ottawa to increase its contribution to programs for Franco-Ontarians, a request that comes as the provincial government tries to get out of the hornet's nest it caused when it eliminated its French-language services commissioner earlier this fall.